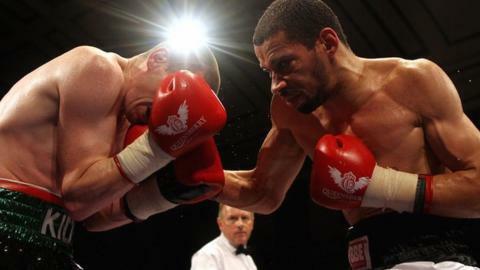 Former British champion and Premier League footballer Curtis Woodhouse has retired from boxing for the second time. Woodhouse, 38, played 368 games for clubs including Birmingham City and Sheffield United and also won four caps with England at under-21 level. He took up professional boxing in 2006 and won the British super-lightweight title in 2014 before briefly retiring. "First time I retired I wasn't ready, this time I am," Woodhouse tweeted. "Last night I officially retired for good from professional boxing. Blessed to have played my part in this fantastic sport. I'll miss you all." After winning the British title in 2014, Woodhouse lost the belt in his next bout but scored two wins in 2017 with his last outing a points win over Lewis van Poetsch. Woodhouse, who is currently manager of Northern Counties East League Premier Division side Bridlington Town, retires with a record of 24 wins and seven defeats.